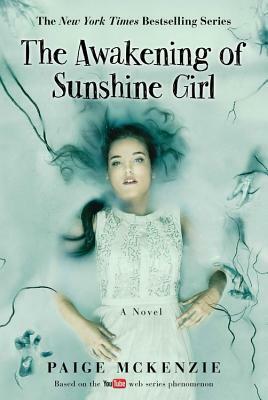 Now in paperback, the highly anticipated sequel to the New York Times bestselling The Haunting of Sunshine Girl ("A 21st century, iPhone-enabled 'Buffy the Vampire Slayer'"-The Daily Beast), in which ghost-hunter Sunshine Griffith discovers her own paranormal abilities and a most unexpected and lethal enemy. Sunshine Griffith has been awakened. Her powers are now fully alive and spirits follow her everywhere, desperate for help moving on to the afterlife. Hoping to get her luiseach abilities under control, she agrees to begin training with her mentor-her birth father, Aidan. Aidan takes her to an abandoned campus deep in the Mexican jungle, far from her would-be boyfriend and protector, Nolan. But Aidan's work turns out to be more terrifying than Sunshine could have imagined. Is she prepared to finally learn the truth about what's threatening the future of the luiseach and the human race...and the deadly part she may play in it? Paige McKenzie, began playing Sunshine as a high school junior. Today, the The Haunting of Sunshine Girl YouTube series boasts more than 250 million views and is in development as a television show by The Weinstein Company. Paige lives in Portland, Oregon. Alyssa B. Sheinmel is the author of Second Star, The Beautiful Between, The Lucky Kind, The Stone Girl, and Faceless. She lives and writes in New York City.